Is Site Certification Worth It? The gold rush is on. 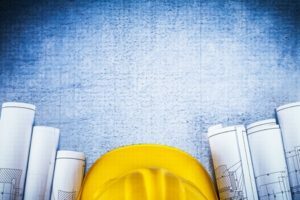 Site certification is the new “shovel ready” and more and more economic development organizations and utilities are scrambling to “certify” their site(s). But is site certification worth it? Maybe. The value of site certification depends on two critical factors. First, what is being certified? Because there is no national standard for site certification, site certification has no quality control. 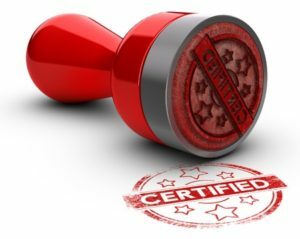 Therefore some certifications are mere labels stamped on a site, while others represent a significant effort that was completed to verify that development of the site as intended can be achieved under defined conditions. As you can imagine, the latter is a higher standard than the former. Second, what will you do once you have the certification? In other words, what is your marketing plan for getting out the word that you have something that very few others do? If you spend tens of thousands of dollars on truly studying and certifying a site, you need to consider in advance establishing a commensurate budget for marketing and promoting what you have. Know the price. We look at a lot of sites and potential sites. And while many sites have a sales price, the price is often nothing more than a guess based on a recent transactions in the area that can be a couple years old. We advise our community clients to create certainty and identify the real price by either purchasing or optioning the land. Why? Land often has a current price (what someone is willing to sell it for today) and a prospect price (what someone thinks they should sell if for now that there is a prospective buyer). A third less enforceable method is to get a commitment letter from the land owner. Our cautionary tale: do not list sites as negotiable. Businesses know everything is negotiable. However, sites that say this upfront typically fall into a ‘current price’ versus ‘prospective price’ scenario and site selectors and corporate real estate professionals know this and will stay away. Know the infrastructure. Many communities tout that they have ample water and/or sewer capacity, but often don’t have all of the information to qualify their statements. For instance, capacity at a water plant is meaningless if you don’t have a delivery system that can get the water to the site in question. We’ve seen it happen when a community markets 2 million gallons per day in water capacity. Only to later learn the capacity is ‘permitted’ capacity (how much water they can take in). The actual design capacity left the plant without a big enough pipe out of the plant to get the water to the site in question. Do your homework. You’ve got a 100 acre site located along a rail line. It’s a rail served site right? Maybe. Class I railroads will tell you that many of their main lines are operating at very high capacities. Even assuming they have the capacity in their system to slow down at your site, you may not have the site attributes to support development of enough lineal foot of track to get a unit or manifest train fully clear of the main line (think 100+ cars). So before you market a site as rail served, get with the economic development and engineering teams at the railroad in question to confirm your assumptions before you market rail access. Upload and unleash. Having the right information on your sites isn’t very valuable unless you’re doing something with it. Start by getting your information on your website, on major property databases (LocationOne, CoStar, etc.). From there, contract with a professional that can help you develop a strategy for getting you information in front of your targeted industries.